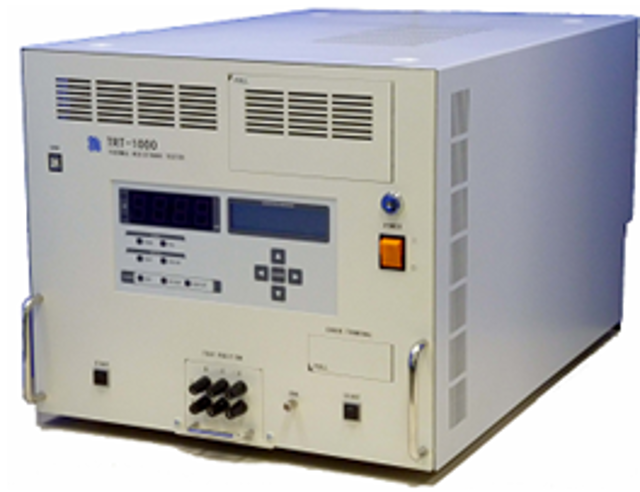 SETS-200 is DC test system designed for high speed DC testing for small signal to high current of diode, transistor, MOSFET. 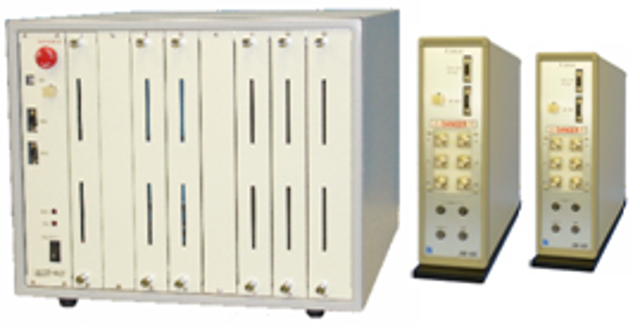 SETS-400 is DC test system designed for high speed DC testing for high current of diode, transistor, MOSFET. ILT-1000 is GO/NG judgment tester of setting Vsus:- VGATE,IH,IL by observed waveform of turn off caused L-load on MOSFET. Compact and fitting with main unit by exclusive coils. TRT-1000 measuresΔVF using feature, which thermal resistance (θjc) of MOS-FET, transistor etc and forward voltage of PN junction are proportionate to temperature change, determines with comparing specified value and sorts. Realized optimum circuit conditions by unique architecture, exchange front measurement UNIT to head box and connected. Measured current is settable at contact optionally. measured value display of contact resistance is available. Easy waveform observation by PC display of its waveform at each terminal points. Easy finding of faulty in each Bias circuit through self-diagnosis. Copyright 2017- Shibasoku Co.,Ltd. All Rights Reserved.